Wow, it feels so nice to finish up a quick project! If anything is going to get done around here, it has to be quick. And I found some cute tiny succulents on sale at Walgreens of all places. Perfect. 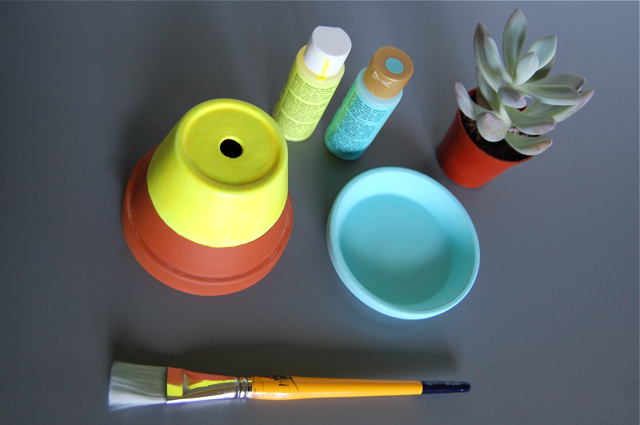 Neon-dipped succulent pots. See the complete how-to at Armelle. (Although we skipped the masking tape step and just free-handed it.) This little guy is going to be a first-day-of-school gift for Lo's kindergarten teacher. Quick! 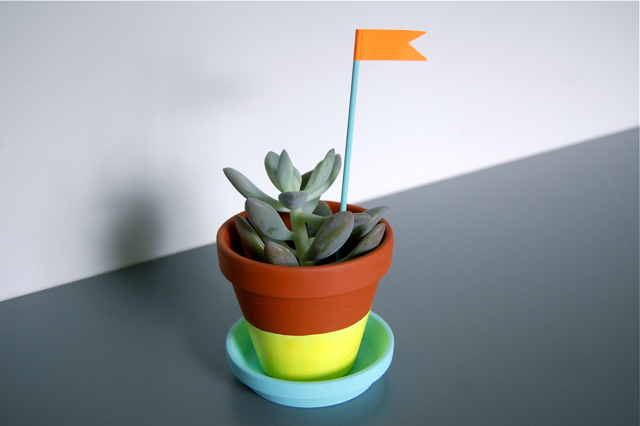 Dip yourself some clay pots. So simple and your kids can help.